If you're looking for concrete pumping hire services in the Toowoomba, Dalby, Surat Basin, Lockyer Valley and surrounding areas, then you've come to the right place with McClelland Concrete Pumping. With extensive residential, commercial and civil concrete pumping experience in the construction industry, you know that you're choosing a name you can trust. We are a family-run business providing our clients with safe, professional, reliable concrete pumping services. We are fully compliant and certified to meet all Workplace Health and Safety requirements. 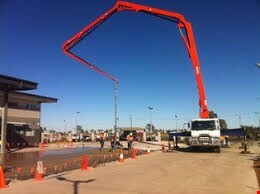 Our operators are professional, fully licenced and our concrete pumping expertise is second to none as we’ve had years of experience pumping on power stations, gas sites, mines sites, power plants, dams, roads, bridges, army bases, service stations, nbn sites, commercial sites and residential builds. If you want to hire a concrete boom pump, line pump or have a shotcreting job, call us for a quote, we’ve got your concrete pumping needs covered! 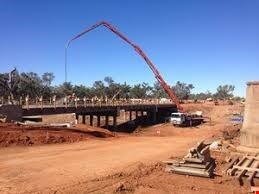 McClelland Concrete Pumping are the specialized concrete pumpers of stabilized sand and grout pillows throughout the Surat Basin region. We offer trusted safe, reliable, professional concrete pumping and wet plant hire solutions from a nimble line pump through to a 42m boom pump and always put our customers first - that's why we get clients coming back to us time and time again. 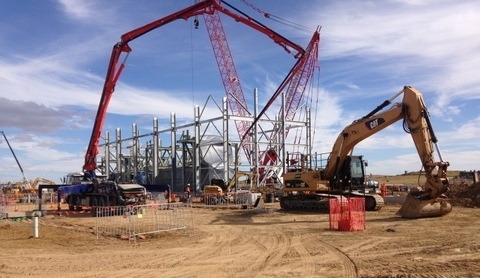 We've got an impressive range of projects in our portfolio as we work closely with our customers helping them get their projects pumped safely and on time. We are excited to continue providing excellent pumping services to the builders and concreters in the Toowoomba, Dalby, Lockyer Valley, Southern Downs & Surat Basin regions. As a small business, we understand the importance of providing value for money and excellent customer care to our clients, so you can trust we'll treat you and your pumping projects with respect and care. 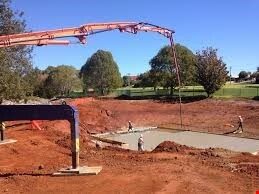 Call Wayne on 0427631143 he'll be happy to talk to you further about any of the services we have to offer, and how we can meet your concrete pumping needs. LNG Mining Energy & Infrastructure, Dams, Roads, Bridges, Grout Pillows, Stabilized Sand Pumping, Civil, Commercial & Residential. We are fully compliant and certified to meet all Workplace Health and Safety requirements. ​We operate a Transcrete Line Pump and five modern, well maintained Schwing and Everdigm Concrete Boom Pumps ranging in size from a nimble 28m through to a 42m. Withcott, Gatton, Pittsworth, Warwick, Southern Downs and surrounding areas, you've come to the right place with McClelland Concrete Pumping. We listen to you, work with you and customize concrete pumping solutions for you. ​Big or small, your job matters to us.